A small mixed crop-livestock farm in Western Kenya (photo credit: LCC CRSP/Mark Nanyingi). The University of Liverpool has been given funding to start a surveillance program to reduce the incidence of diseases transmitted between people and livestock in western Kenya. The £3.6 million grant will train veterinary and medical technicians to monitor farms, markets and slaughterhouses. They will use a mobile data collection system to generate a comprehensive database of the prevalence and economic impact of these diseases. The information generated will be used to provide evidence for government health policy in the area. The area around Lake Victoria is among the most densely populated in East Africa and its population is still growing rapidly. To meet increasing local demand for milk, meat and eggs, many livestock farmers are ‘intensifying’ their subsistence farming methods. But livestock here carry many diseases, called zoonoses, that are transmitted to humans from animals. This has led to outbreaks of bovine tuberculosis, Rift Valley fever, brucellosis and anthrax, but there is little data on which livestock are infected and by which diseases and some meat companies are introducing a blanket ban on products from this area. Eric Fèvre, an epidemiologist in the University of Liverpool’s Institute of Infection and Global Health who works jointly with the International Livestock Research Institute (ILRI), in Kenya, explains. Kenya is experiencing radical change in the way it produces meat for its growing population. However, the system for checking the quality and safety of this meat is not equipped to deal with the pace of change. This has a major impact on public health that is only going to grow as the population expands. The Liverpool-led study will test 7,500 livestock and 6,000 humans for 14 diseases by training officials to visit markets, slaughterhouses and healthcare facilities. By the end of the project, a population of 1.5 million will be covered. The 5-year project will closely involve the Kenyan government’s Zoonotic Disease Unit, leaving a trained group of technicians, a comprehensive dataset and sample selection and the framework for a national surveillance system that can be adopted in future. The £3.6m Zoonoses in Livestock in Kenya project (ZooLinK) project is funded through a ‘Zoonoses in Emerging Livestock Systems’ (ZELS) program, which is a joint research initiative of the UK’s Department for International Development (DFID), Biotechnology and Biological Sciences Research Council (BBSRC), Economic and Social Research Council (ESRC), Medical Research Council (MRC), Natural Environment Research Council (NERC) and Defence Science and Technology Laboratory (DSTL). Partners in the ZooLinK project include the University of Edinburgh, the Royal Veterinary College, the University of Nottingham, the Kenya Medical Research Institute, the International Livestock Research Institute (ILRI), the University of Nairobi and the Kenya Government Zoonotic Disease Unit. 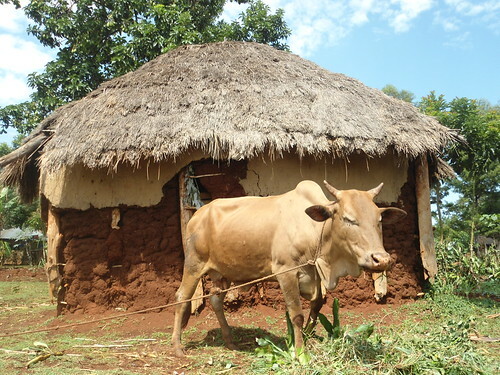 Read the original news release on the University of Liverpool website: £3.6m to improve health and farming in Kenya, 11 Jun 2014. Tags: anthrax, BBSRC, bovine tuberculosis, Defence Science and Technology Laboratory, DFID, Economic and Social Research Council, Eric Fevre, KEMRI, Medical Research Council, Natural Environment Research Council, Royal Veterinary College, University of Edinburgh, University of Liverpool, University of Nairobi, University of Nottingham, ZooLinK, Zoonoses in Emerging Livestock Systems program, Zoonoses in Livestock in Kenya project, Zoonotic Disease Unit. Bookmark the permalink.